Clearing and cleansing your environment can be a powerful and important tool in your journey to health, wellness and greater awareness, but when we bring Metatronic frequencies and techniques to places in which we have lived, educated or worked, the overall effects have frequently taken even us – the Metatronic Team – by surprise. These deeply penetrating effects offer further evidence that these powerful energies of Love truly infuse the places that previous healing attempts have failed to reach – and the transformation that often results brings radical shifts in a person’s life, even though the healing often takes place even many decades after the person has left behind a childhood home, for instance, or any place they have known and loved (or possibly tried to love…!). “I quite frequently spend time in a distant family home, where a young child died some 70 years ago. Over the years I’ve often felt the grief along with the anger and confusion which so often underlie feelings of grief. It felt like it was deep in the walls and floors, so I had used all the familiar techniques of sage-burning, meditation, drums, rattles and rose quartz, pretty much to no permanent effect. Various people visited over the years, including a variety of healers, and several of these refused to come to the house a second time as they were too oppressed by the heaviness of the atmosphere. 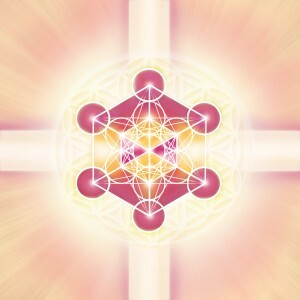 After the work we did with you in space clearing, I called Metatron in and was directed to a particular room in the house. What ensued was an astonishing, sacred journey. The details feel too private to share widely, but I have to say that for the eight or so years that have passed since that day, the house has remained serene and light, and friends have loved to visit. My deepest thanks to Metatron for the power and purity of this work.” Jane W, Yorks.